Dag...it really has been 10 years. Rapper Shyne is set to be released from prison this year after his sentence on charges stemming from a 1999 shooting at a club in New York. 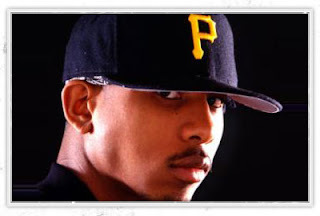 According to BET.com, Shyne learned that he will become a free man October 6 after a parole meeting yesterday. Shyne's attorney Oscar Michelin further explained the situation: "What happened was when they sentenced him [in March of 2001 to ten years] they didn’t sentence him to any parole – post release supervision, which was mandatory. So the Correction Department has asked the court to re-sentence him – under the law they can do that,” Michelin said. Shyne's parole time is unknown. He could face the maximum of five years of parole or as little as a year and a half. His parole sentence is likely to affect Shyne’s future as a recording artist. If he faces the maximum of five years, he may not be able to leave the state to tour or record with other artists. I hope he doesn't because I want to see what all he has in him now. Ten years in prison?! That brings about some heavy meditation in a lot of people. So I know he has some hot lyrics for us. Shyne is currently the CEO of Gangland Records. Good luck with everything Shyne! We're waiting on your next album!